Drivers in Westport and beyond are always looking for new ways to stay safe and connected while on the road. Subaru gives you everything you need with STARLINK, a comprehensive technology suite that makes it easier than ever to access your favorite entertainment features while keeping your eyes on the road. Running errands in Wilton or getting to work in New Canaan is more enjoyable when you can listen to your favorite podcast or playlist, and STARLINK helps make all your audio adventures easy and accessible. Using cloud connectivity, STARLINK works with your Apple or Android phone to stream all your music through Pandora, Aha, and SiriusXM satellite radio. Diagnostic Alerts: Receive monthly vehicle health reports, alerting you to issues before they become bigger problems. Automatic Collision Notification: After airbag deployment, an alert is sent to a 24/7/365 STARLINK Customer Care Advisor, who send a first response team. Stolen Vehicle Recovery: If your Subaru is stolen, a STARLINK Customer Care Advisor works with the police to help find and recover your vehicle. Vehicle Security Alarm Notifications: If your vehicle security alarm is activated, you’ll receive an alert so you can take quick action. Enhanced Roadside Assistance: Non-emergency assistance is available when needed, with your exact GPS location accessible via the blue “i” button. All of this is more is waiting for you in a new Subaru vehicle. 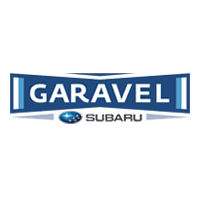 To fully explore everything the Subaru lineup has to offer, including Subaru Symmetrical All-Wheel Drive, visit us at Garavel Subaru to test drive your favorite and see how having the latest technology will change the way you drive in Weston forever. What is the 2019 Subaru Forester Towing Capacity?